With the introduction of the Serien Lighting SML² 220 Wall Light LED, the SML product series by Jean-Marc da Costa undergoes a major technical upgrade. Its discreetly reduced design, however, remains completely the same. Thus, the wall light still blends effortlessly with almost any interior design concept. Instead of attracting attention with its appearance, the SML² 220 Wall Light LED likes to stand out for its new qualities: on the one hand, the LED technology used in the wall lamp by the German light manufacturer Serien Lighting has been brought up to date. On the other hand, the designer light can be connected with all models of the SML and SML² family thanks to a modular system. 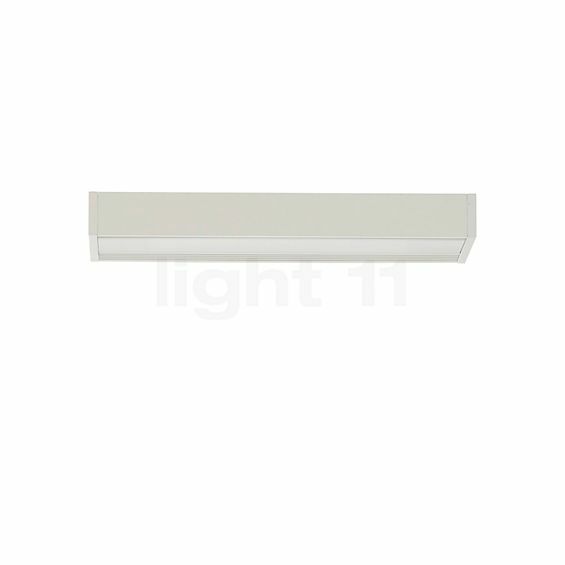 Thus, the SML² 220 Wall Light LED can even be used in combination with older SML variants that use halogen or fluorescent lamps. This grants you great freedom in realising your very own lighting projects. This outstanding ingenuity has been deservedly acknowledged in form of a Red Dot Award and the German Design Award. The design of the Serien Lighting SML² 220 Wall Light LED was penned by Jean-Marc da Costa. The Lighting SML² 220 Wall Light LED series is not only convincing in terms of its construction. Its lighting effect can also be individually tailored to your needs. To this end, the wall luminaire is available in two versions. The first is equipped with two satinised polycarbonate diffusers. As a result, the SML² 220 Wall Light LED shines diffusely upwards and downwards, creating a cosy and harmonious room light. The wall lamp by Serien Lighting is also available in a version with a diffuser and a grid. The latter emits very little light and ensures that it is practically emitted in only one direction. What remains is a soft shimmer that skilfully surrounds the body of the wall luminaire. It is up to you whether you prefer to attach the grid to the upper or lower side of the SML² 220 Wall Light LED. Another strength of the Serien Lighting SML² 220 Wall Light LED is its energy efficiency. Depending on the selected model, it emits 1,150 or 805 lumens, consuming only 15 watts in doing so. This is accompanied by a very good colour rendering value of CRI=90. Tell other customers and us about your experiences with the SML² 220 Wall Light LED ! The Lighting SML² 220 Wall Light LED series can be used in various contexts. For example, the wall luminaire treats hallways and entrance areas with harmoniously scattered ambient light. The SML² 220 Wall Light LED also creates cosy indirect lighting in the living room, inviting you to linger and relax. In addition, the wall lamp by Serien Lighting is also recommended for commercial use. 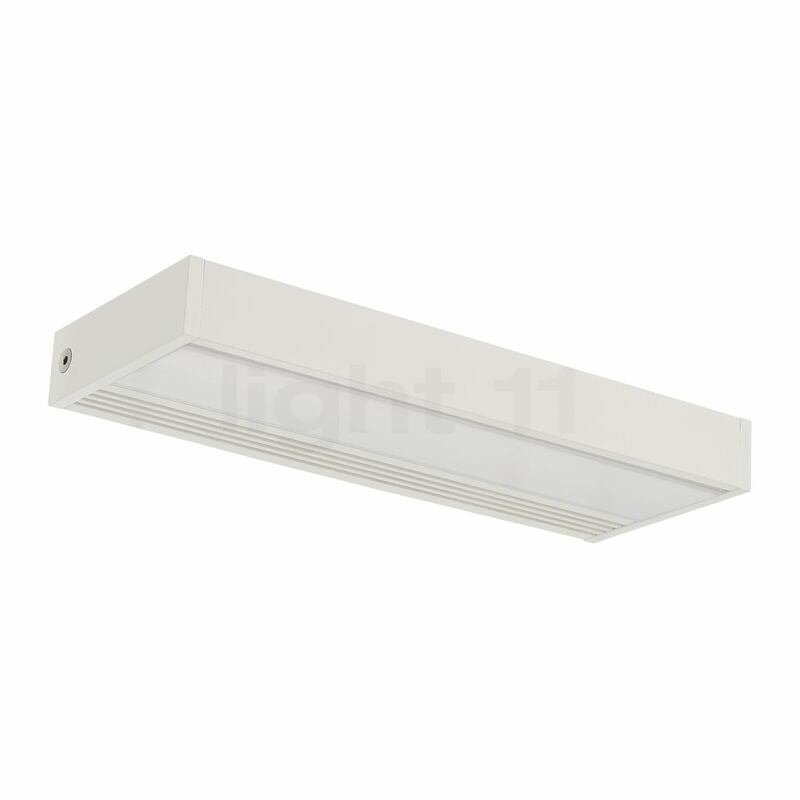 By combining timeless design and economical LED technology, it offers the best of both worlds.